Hosts of NAU’s free Tuesday night film series, Paul Helford, a senior lecturer in the School of Communication, and Paul Ferlazzo, a professor of English, have arranged a lineup that brings a parade of Hollywood’s most famous stars to the Flagstaff screen. In 1999, the American Film Institute identified 25 actors and 25 actresses as America’s greatest screen legends. This spring, for the fifth anniversary of the College of Arts and Letters classic film series, we pay tribute to them in films from the 1930s to the 1970s. Among the screen legends we will be seeing are Fred Astaire and Ginger Rogers in one of their classic song and dance films, The Gay Divorcee, featuring the first Oscar-winning best song, The Continental and Cole Porter’s classic Night and Day. We will see Cary Grant and Katharine Hepburn in the witty and sophisticated romantic comedy Holiday, directed by the great George Cukor. Clark Gable and Claudette Colbert star in Frank Capra’s It Happened One Night, generally recognized as the first screwball comedy and the first film to win all five major Oscars for best picture, director, actor, actress and screenplay. Other legendary couples in queue include James Stewart and Marlene Dietrich in the serious-comic westernDestry Rides Again. William Holden stars with Grace Kelly in her Oscar-winning The Country Girl, which also features Bing Crosby as a fading star in a role that paralleled his own life at the time. Four screen legends star in Stanley Kramer’s Judgment at Nuremberg. Spencer Tracy, Judy Garland, Burt Lancaster and Dietrich are all profoundly moving in this forceful and moral depiction of the Nazi war crimes trial. Sidney Poitier was the first black actor to win a best acting Oscar for his performance in Lilies of the Field. Kirk Douglas worked with director Stanley Kubrick in the classic anti-war film Paths of Glory. Gregory Peck won his only Oscar for his performance as Atticus Finch in To Kill a Mockingbird. The film was based on Harper Lee’s classic novel about race relations in the South set during the depths of the Great Depression. We will see iconic performances by James Cagney and Marlon Brando. Cagney stars as Cody Jarrett, a ruthless tough guy criminal with a mother fixation in White Heat. Brando dresses in leather and rides a motorcycle into town as The Wild One, one of Hollywood’s earliest depictions of juvenile delinquency. Finally, we have legends Bette Davis and Humphrey Bogart. Davis enters The Letter gun in hand and shooting. William Wyler directs this melodramatic film noir based on a W. Somerset Maugham play. Bogart stars as Captain Queeg, the World War II navy captain whose men mutiny in The Caine Mutiny. 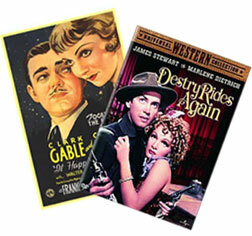 All films are discussed and free at 7 p.m. Tuesdays in NAU’s Cline Library Assembly Hall. For a complete schedule, go to cal.nau.edu/film/.